DETROIT (Reuters) -- General Motors Co. said today it has extended the deadline for a program that allows employees and retirees to buy shares at the price of its initial public offering, expected in November. GM extended the registration deadline to October 22, the company said today in a notice obtained by Reuters. Mailed registrations must be postmarked by October 19. The stock purchase program also is open to the automaker's dealers in the United States and Canada. The share purchase program covers U.S. and Canadian employees, directors, retirees and dealers, according to the notice. The roll-out of the program had been reported, but it was unclear if the share registration would be extended to GM dealers. GM emerged from a government-funded bankruptcy in July 2009 and plans an IPO that would allow the government to begin reducing its nearly 61 percent stake in the automaker. Canada holds 11.7 percent of GM's common shares. Mark Whibbs, a dealer at Vince Whibbs Pontiac-Buick-GMC Inc in Pensacola, Fla., said he intends to buy GM stock. "I think it's a phenomenal opportunity," Whibbs said. "With ... our product and the lean manufacturing team we have at GM, we're very excited about it." The total number of shares that people may buy under the program has not been determined, but the minimum investment is expected to be more than $1,000, GM said in a notice to potential individual investors. GM has about 600,000 employees and retirees and 4,500 dealerships in the United States and Canada. GM spokesman Pete Ternes confirmed that the company sent a letter to employees, retirees and dealers, but declined to comment on its content. 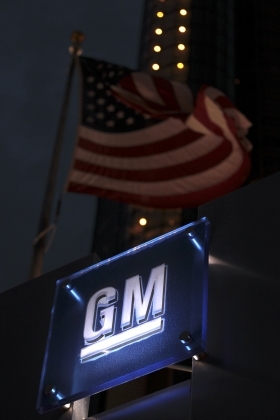 GM has yet to determine the initial share price of its initial public offering. Directed share programs are a common way for employees to buy stock in their employers. Analysts believe the IPO could be one of the largest in recent history, allowing the U.S. government to recoup $8 billion-$10 billion of the more than $49.5 billion it spent to rescue the automaker. Morgan Stanley Smith Barney is administering the GM share program. GM has about 54,000 UAW-represented hourly employees and nearly 400,000 UAW retirees.